The Noonmati Police in Guwahati led by Assistant Commissioner of Police, Purabi Mazumdar, unearthed a land grabbing racket on Friday. 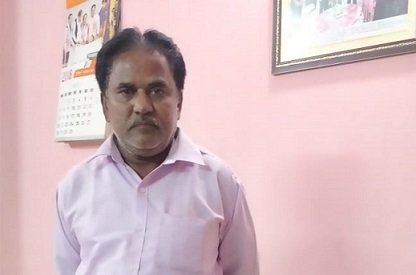 Based on specific input, Noonmati Police and Pragjyotishpur Police during a joint operation nabbed one 50-year-old Mansur Ali and one 48-year-old Kangkan Deka on charges of being allegedly involved in a land grabbing case. According to police, Mansur Ali was involved in land grabbing in other places of the city also. “There are vast acres of land in the Panikhaiti and Chandrapur area. But the land owners do not look after the land. A gang, which has been active in the areas forge the documents in support of the land and sell those to others,” said Mazumdar. Mazumadar also informed that during investigation, they found the certified copy of the attorney of power from the registrar’s office regarding the sold land. “But shockingly, the photograph pasted in the copy was of another person instead of the lady while the witness’ signature was shown as that of Kangkan Deka,” Mazumdar added. A case (no 74/17) under Sections 120(B), 468, 420 of Indian Panel Code (IPC) was registered at Pragjyotishpur Outpost. Kangkan Deka was arrested from Rajgarh Linkroad on June 21 and Masur Ali on June 22. The arrested were produced before the district magistrate’s court on Saturday which sent them to 10 days’ police remand. It may be mentioned, Manur Ali was previously arrested for several times in land grabbing and human trafficking cases.